After presenting you the black desert house, it’s time to switch to white, all-white! So today we’re going to show you the Minimalistic All-White Apartment In Moscow! You can never go wrong with an all-white design. 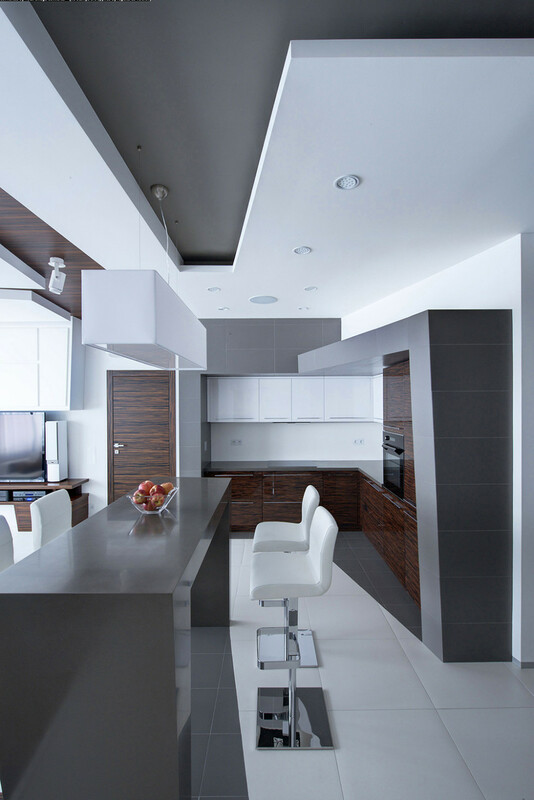 It’s clean, it’s minimalistic, bright , and it will leave the impression of a bigger space. Even if it’s pretentious to do an all-white, because you have to keep it all-clean like all the time, it looks amazing, relaxing offering the peace you’re searching after a hard working day. This minimalistic all-white apartment is, as the title states, situated in Moscow and was designed by Vladimir Malashonok. The whole work it’s actually a renovation, and what a good job they’ve done. 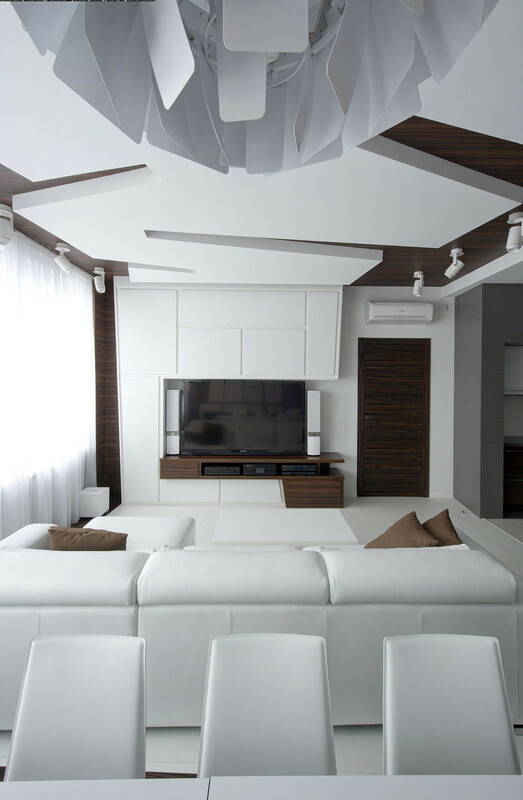 So let’s take the tour of this minimalistic all-white apartment in Moscow and admire it a bit! The place was remodelled for a a family of two with a limited budget and that’s why some materials used in the renovation, like laminated panels, tiles and gypsum, were really simple and inexpensive. The place is simply amazing, inspiring peace and tranquillity just by looking at the pictures. In order to create a dramatic contrast, the designer used a minimalist color palette combined with dynamic forms and shapes to offer the apartment a wow effect. 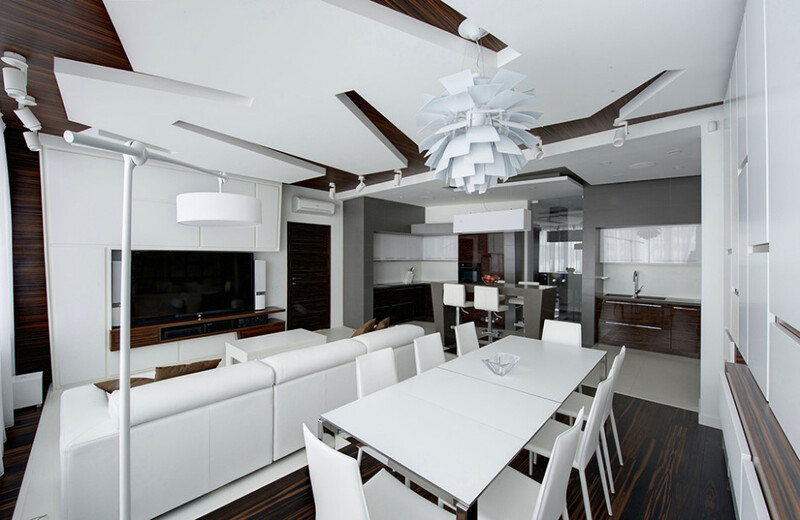 The wooden details give this apartment a more elegant and sophisticated feel and they go perfect with the all-white theme, creating a pleasant visual effect. Here, the painting on the wall offers the room a splash of colour, standing in perfect contrast with it. The kitchen of the minimalistic all-white apartment forms an open space with the living room and the dining room. 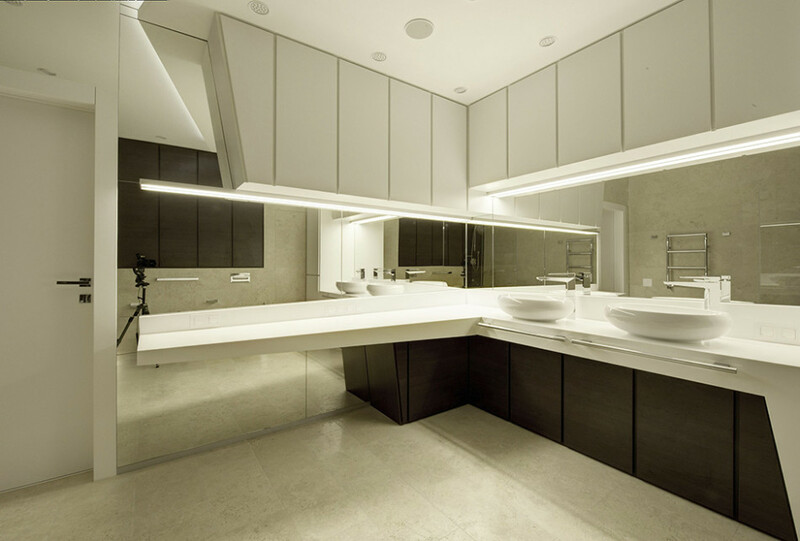 The same minimalistic style is used here as well , keeping the bathroom in perfect harmony with the entire house. This apartment is the perfect proof that you don’t need a lot of money in order to create something stunning. You just got to have a little bit of taste, and the perfect people to help you do it! 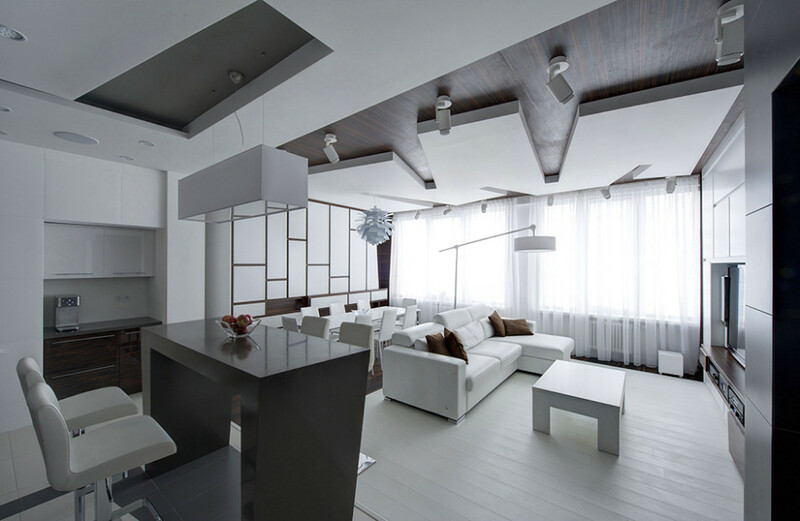 We most definitely like this minimalistic all-white apartment in Moscow! But how about you? Do you feel inspired in changing something in your house after seeing this beautiful apartment? 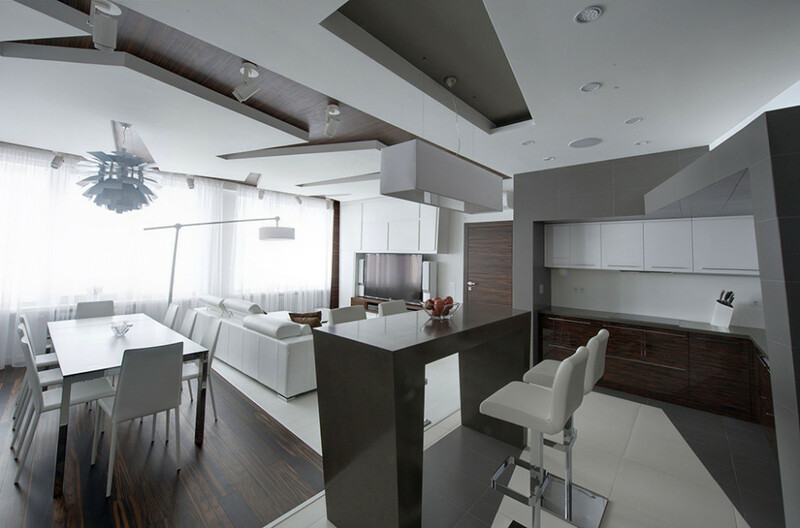 We hope you enjoyed our article about the Minimalistic All-White Apartment In Moscow. Tell us what you think about it, leave your comments and opinions in the section bellow and don’t forget to share this with your friends!